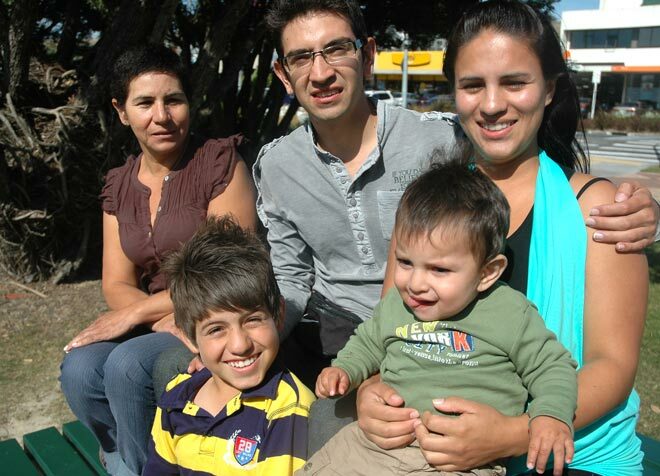 The Leon family, (from left) grandmother Dolly, her son Antonio, his wife Jenny and their sons Brayon and Samuel, were among the first refugee families to settle in Porirua from Colombia. Civil war, kidnappings and killings by government forces led the family to flee their homeland for New Zealand in 2010. Dolly had prayed for a safe place for her children and grandchildren to grow up in, and looked on Porirua as a godsend.